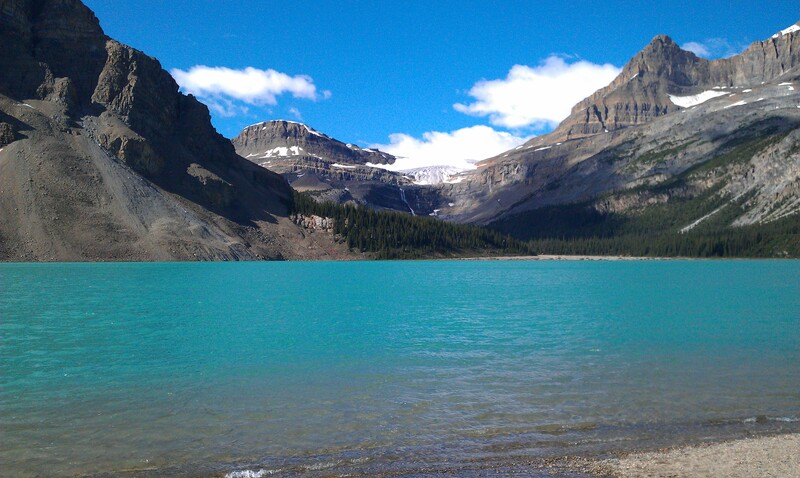 Arriving at the end of highway 1a you encounter Lake Louise, after which the most scenic route of all scenic routes starts: Icefields Parkway, or highway 93. This highway was specially constructed to offer the best views on the mountains in the Rockies as possible and I can safely say, they have succeeded in doing just that. What an amazing drive! 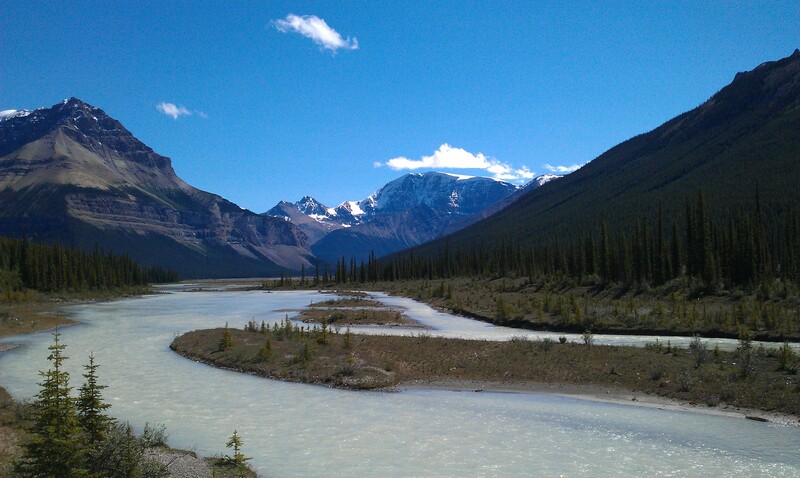 Halfway through the road, at about 105 km from Jasper, the Columbia Icefield Experience can be found. 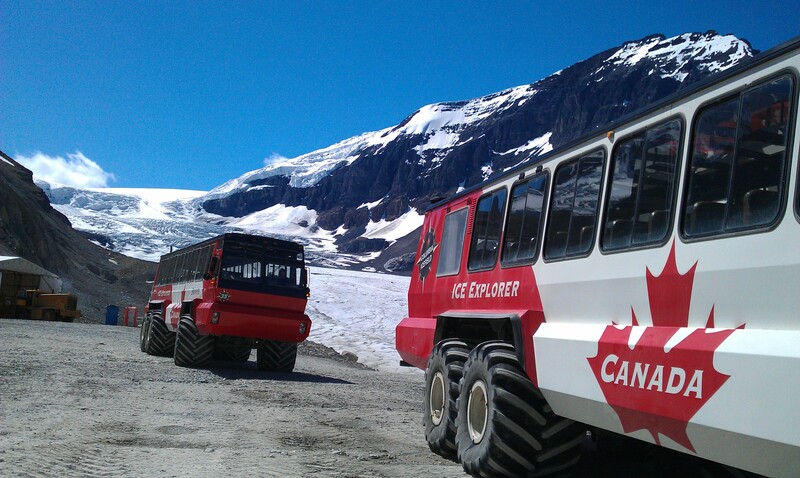 This is a company offering you a busdrive to and on the Athabasca glacier, at the lowest point of the Columbia Icefields. These fields stretch for about 325 square kilometres, and are thus really really big by any standards. 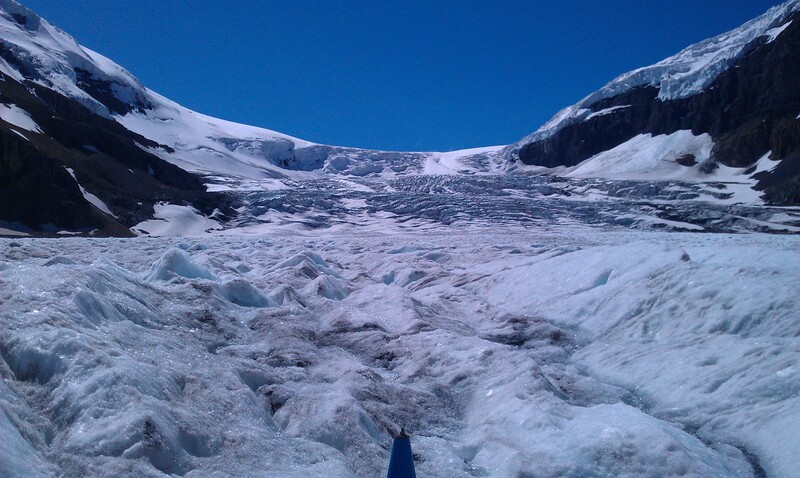 The tickets to the glacier will not come cheap, but the drive and the experience both are really great! We have had a blast, on quite possibly the best day to go. The day before, it rained cats and dogs, and the week before that it even snowed up there! Of course did we stop frequently while driving on the highway to take pictures of all awesomeness on display, and the most notable stops include: Bow Glacier Lake, Peyto Lake and Sunwapta Falls. All three include a short or a little longer hike from the road to the location of our interest. All really worth the time!